Schedule 1 of the National Minimum Wage Act of 2018 states that these minima will be effective “from a date fixed by the President by proclamation in the Gazette”. Although this suggests a future date that is not yet known, some commentators have assumed that it should also be 1 January 2019. While we disagree with the latter interpretation, we nevertheless recommend that our readers adhere to the stipulated minima as from 1 January 2019. Employers in sectors other than the exceptions mentioned above will have to increase their minimum wages to R20 per hour with effect from 1 January 2019 – these include the hospitality sector (where the current minimum for employers with fewer than 10 employees is R17.34 per hour) and the wholesale and retail sector (where the minimum wage for several categories of workers is below R20 per hour, the lowest being R16.20). For employees who work 45 hours per week, the minimum monthly wage is just short of R3 900. If the contract of employment makes provision for fewer than 45 hours per week, the monthly rate can be less than this amount. However, employers are not permitted to unilaterally reduce hours of work or change other conditions of employment in response to the implementation of the NMW. Employers are restricted in the way that they structure the remuneration package. The NMW excludes allowances that are paid to enable employees to work (such as transport and equipment), or payment in kind (such as board or accommodation), as well as bonuses, tips or food. So, for example, one cannot argue that one pays employees less than R20 per hour because one contributes to their uniform or provides them with meals. Employers may apply for exemption of up to a 10% reduction in the applicable minimum wage. An employer needs to meet several requirements to qualify. The exemption can only be granted with effect from the date of application and may be valid for a period of up to 12 months. 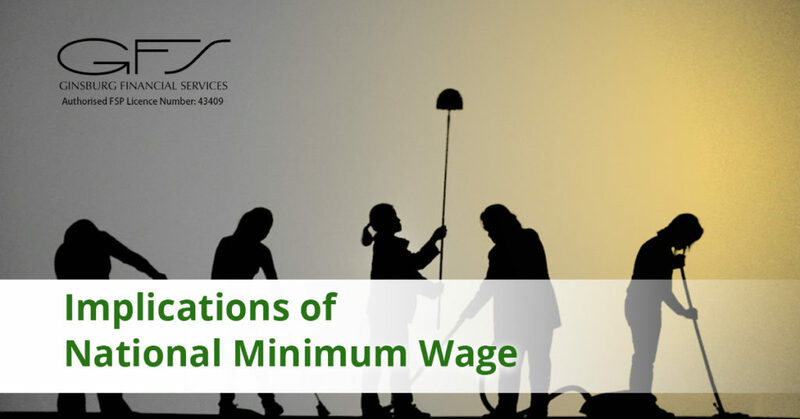 The National Minimum Wage Exemption System is accessible online. Alternatively employers may approach their nearest branch of the Department of Labour. The other important changes to labour legislation; i.e. those relating to parental, adoption and surrogacy leave, as well as improvements to unemployment benefits, have been signed into law, but the implementation dates are not known. We shall deal with these as soon as the implementation dates are announced. Article written by Jan Truter for Labourwise.